According to Bloomberg, a financial software, data analytic and media company, 8 out of 10 entrepreneurs who start businesses fail within the first 18 months. The Small Business Economics: Entrepreneurship Journal, reports on a study of 10,104 students enrolled in higher education with a higher level of ADHD-like behavior are more likely to have entrepreneurial intentions in part due to their inclination toward risk taking. And while an ADHDer may have ambition and creativity to spare, ironically, those traits may still not guarantee that you will be a successful entrepreneur. 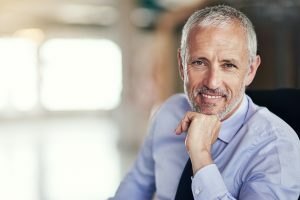 Success often requires developing better self-regulation skill or perhaps a team effort approach to compensate for an individual’s areas of executive weakness. An ADHDer’s level of executive function impairments like: distraction, disorganization, procrastination, difficulty with working memory and managing emotional control can undermine one’s performance and become an obstacle to building and maintaining a successful business. Even though the statistics are grim, don’t give up, instead, educate yourself about ADHD and executive function, recognize your blind spots, develop better coping mechanisms, continue to strengthen your talents, seek out support and then unleash your talent. Hang onto your dream by preparing and doing groundwork. In this section, you will find resources to help you along your journey to become a successful entrepreneur. Review of ADHD Entrepreneurial Research, a 2-part review of ADHD Entrepreneurial Research by APSARD by David Giwerc, MCAC, MCC ADD Coach Academy. It explains some of the challenges but also some advantages successful entrepreneurs have relied upon that are linked to their ADHD.